Indian Railways have introduced a new Tatkal scheme under which passengers can book Tatkal tickets after 10 am on the day before commencing their journey. This Tatkal scheme will be implemented from 10th July 2012 onwards. The Railways consider this to be a crucial step in reducing the misuse of the Tatkal scheme by IRCTC and other authorized agents. Until now Tatkal bookings opened at 8 am in the morning. Reportedly, agents would buy Tatkal tickets in bulk and later resell them to passengers at a premium rate. This practice would exhaust the sale of Tatkal tickets before the common passenger even had a chance to buy them. It would also make Tatkal tickets exorbitantly expensive because of the resale. Under the new guidelines of the Tatkal scheme, no agents will be allowed any access to Tatkal bookings between 10 am to 12 pm. Access will remain restricted on all platforms, including the internet and ticket booking windows. Additionally, restricting access to agents for booking ordinary general tickets from 8 am to 10 pm has already been implemented, reported TOI. New guidelines have been introduced for Tatkal e-ticketing as well. 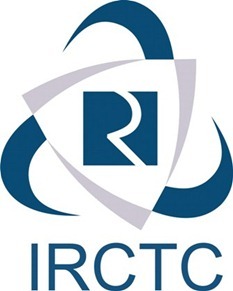 Passengers using the IRCTC website for booking e-tickets will be allowed to book only two tickets from 10 am to 12 pm. Special software has been installed in the website to ensure that only two tickets are booked in the prescribed time slot of 10 am and 12 noon and they’re booked from a single IP address in one go. Talks about improving the Tatkal system have been going on since late 2011. This was mainly because passengers reportedly complained regarding the unavailability and misuse of Tatkal tickets. Allegations were also made on railway staff being involved with the agents to mint money by manipulating sales of Tatkal tickets. To counter this, many provisions including plans of scrapping the Tatkal scheme altogether and replacing it with an emergency quota scheme were considered. A regulatory procedure of checking IDs of passengers who book tickets on behalf of other people was also thought of. Indian Railways have implemented additional measures to control touts from misusing the Tatkal scheme. North Western Railways (NWR) has set up special teams to monitor ticket windows from 10 am to 12 pm. Railway staff operating on ticket counters will not be allowed to use mobile phones and CCTVs will be installed for real time monitoring. These steps come at the back of many other measures taken up by IR to beef up its services. Late last year, travellers were allowed to do away with soft copies of their ticket and only a screenshot on mobile could serve the purpose. This move was amplified when SMS confirmation of tickets was deemed as valid proof of ticket. Just recently we also talked about how IR plans to offer wifi via satellite connectivity. But before we pop open the champagne bottles to celebrate this latest round of improvements to the Tatkal system, we eagerly await feedback and review from the aam janta. To get the tatkal Booking rules you can visit the official Indian railways tatkal reservation guidelines stated at http://www.pnr-status-enquiry.in/2012/09/indian-railway-tatkal-booking-irctc.co.in-tatkal-ticket-booking-rules.html.